Focused precisely on the needs of our customers, we have a highly motivated team of support services which complement our scientific disciplines. Strong backing from our proactive support departments contributes to our ability to deliver high quality reports on time. Sequani archive offers data retention on studies conducted at Sequani. The archive maintains all records in accordance with Company procedures and Regulatory requirements. Study archive data together with other associated materials, are retained for all studies in order that a study may be reconstructed at a later date should it be necessary. In addition further documentation concerning the facility, equipment, staff and procedures which is required to support the conduct of regulatory studies is also retained. All materials retained within the Sequani archive facility are on site in a secure environment designed to protect the materials from loss, damage or deterioration. The archive has a full time, dedicated staff who are responsible for the materials archived. A full cataloguing system and database is in place which enables rapid identification, location and retrieval of stored materials. Archive staff have extensive experience in both client and regulatory inspections and have fully utilised this experience in the design and operation of the Archive facility. Access to the archive is strictly controlled using biometrics and security features include an independent alarm system and an automatic fire suppression system. Environmental monitoring is performed routinely to ensure that materials are stored under suitable conditions. All of these procedures contribute towards the safe and secure environment in which records are maintained. Sequani Information Technology strategy embodies expert knowledge, standardised procedures and the practice of Computer System Validation, using organisational controls and documentation to ensure a continued innovative yet stable approach. Reporting efficiently and robust data security underpin the information technology strategy. Electronic data capture systems are used throughout most of the company's laboratories for on-line data entry. Data acquisition systems validate entries automatically and highlight suspected anomalies. Underpinning this is an infrastructure supported with the latest network technologies. Our close links with software vendors help us in our goal of increasing efficiency and striving to continually improve our business processes. The Sequani Quality Assurance Unit is a dedicated group responsible for the monitoring of studies. The Unit is independent of those personnel conducting the studies and is responsible for assuring Management that the facilities, equipment, personnel, methods, practices, records and reporting are in compliance with the relevant good practice. 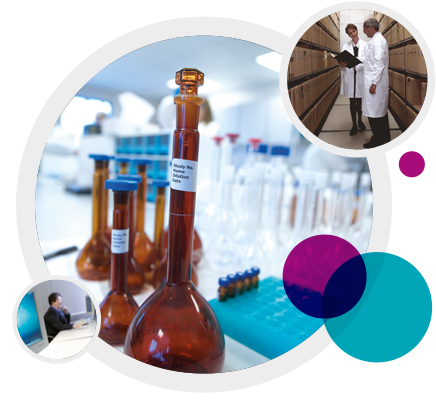 Sequani is a member of the United Kingdom Good Laboratory Practice Compliance Programme and performs studies in compliance with current UK and OECD GLP regulations and requirements. Sequani welcomes inspection by its customers and is always pleased to make the necessary arrangements for such a visit. The Quality Assurance Unit has a full time staff of dedicated personnel. Each auditor brings with them a wealth of expertise and experience in science, technology and industry. This, together with the training and development programmes provided in-house and thorough professional bodies such as RQA, enables our auditors to have an appropriate understanding of the studies conducted and a full knowledge of the relevant regulations and the role of quality assurance. The Quality Assurance Unit reviews all study plans before issue; schedules and performs critical phase and process inspections on studies; performs facility, supplier and sub-contractor inspections; and finally reviews each and every study report for completeness and accuracy for compliance.